It is a busy day at the Obrenovac refugee center and Miroslav Mešanović is helping several young men during an English language lesson at the SOS Children’s Villages youth corner. A short time later, he shifts to another role – working as an interpreter. 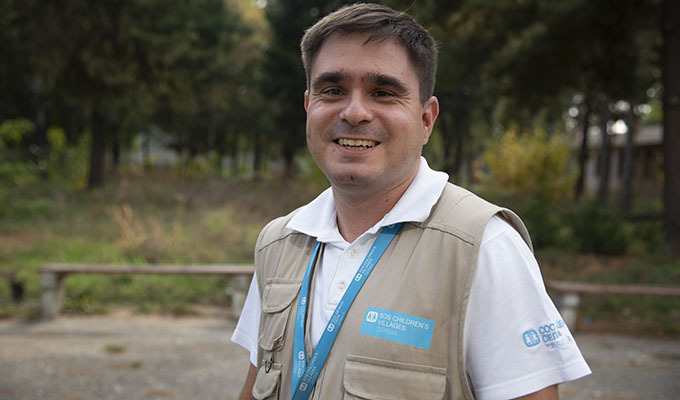 Mr. Mešanović has a rare qualification that has turned out to be a major asset for SOS Children’s Villages Serbia and its work with refugees at Obrenovac: he is a Serbian fluent in Farsi, a common language amongst the estimated 1,000 male refugees who live at the refugee center in northern Serbia. Though he studied pharmacy at the University of Belgrade, Mr. Mešanović jumped at the opportunity in 2005 to begin learning Farsi in a free program offered through the Iranian cultural attaché in Belgrade, and 11 years later visited Iran for a language and literature course. He began working for SOS Children’s Villages in July 2017. “Knowing Farsi was just exotic until the first refugees started arriving [in 2015]. 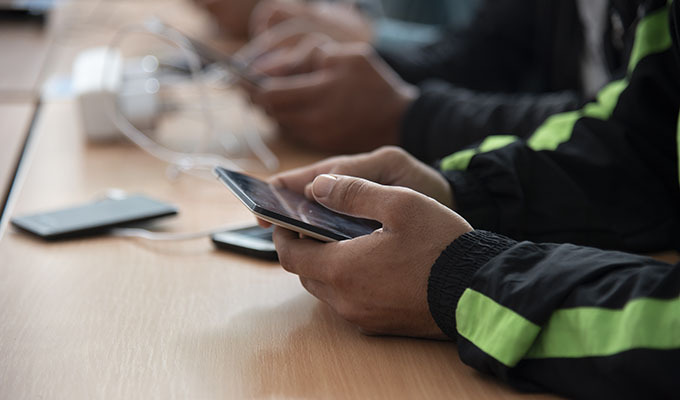 Then it became a useful language,” Mr. Mešanović explains outside the SOS Children’s Villages youth center and Information Communication Technology (ICT) corner, where hundreds of young refugees gather daily to learn languages, join technology workshops and to use computers. More than two-thirds of the nearly 4,000 refugees, migrants and asylum-seekers in Serbia are from Afghanistan and Iran, where Farsi is a main language. SOS Children’s Villages is the only organization providing programs that combine computer technology with educational and skills-development activities for young residents of Obrenovac. Photos of Miroslav Mešanović by Katerina Ilievska. Officially, Obrenovac only houses adult men. But there are believed to be many teenagers living there who claim to be 18 or older so they can stay with friends rather than move to government-run refugee centers for families and unaccompanied children. Learn more about our support for refugee children and families in Europe. The ICT Corners in Serbia are provided with the support of Deutsche Post DHL Group.